Mossy Cave is a fun little day hike that will get the kids, and yourself, out of the car for half an hour and stretch your legs if traveling the scenic Highway 12 route. Located just outside of Tropic, UT. The Mossy Cave hike offers magnificent hoodoos, a waterfall (depending on the time of year), and a natural spring grotto. With summer starting, it is always a good reminder to all leaders and youth about what to do when you are lost. Located in the Dixie National Forest, Yant Flat is a hidden gem of a hike as it is not to well known as of yet just outside of St. George, UT. If you live in California, Alaska, or Hawaii... have no fear, poison ivy is usually not found in your state. For the other 47 states, beware! Poison ivy can grow in many forms including a ground-cover, shrub, or a climbing vine. With a very distinct leaf pattern of 3, this plant in easy to identify on the trail. Most people will develop a rash after touching poison ivy that will last anywhere from 1 to 3 weeks. The rash comes as a result of having a reaction to the oil called urushiol as their skin touches the plant. Every part of the plant - the leaves, stem, roots, and flowers all contain this oil. One interesting fact is that if you burn this poisonous plant, you can actually release urushiol particles into the air which can later land on your skin and cause the rash. Also, it is not possible to get this rash from touching someone who has the rash. The skin absorbs the oil too quickly. Natural remedies for treating poison ivy include: Baking soda baths, Oatmeal pastes, Aloe Vera gel, Rubbing a banana peel on your skin, using Jewelweed, and the most common - Calamine lotion. If you have a serious reaction, you will most likely need prescription medicine. Your dermatologist may prescribe a steroid ointment that you can apply to the skin. The recommended trail starts at Aspen Grove, along the Alpine Loop Road. To get to the Alpine Loop Road, take 189 from Provo, UT through Provo Canyon. Right after the tunnel, make you first left has if going to Sundance. Aspen Grove is past Sundance. Parking at Aspen Grove requires an entry fee of $6 for a three-day pass which is paid at a toll booth on the Alpine Scenic Loop. Several trails start here so pay attention to the signs as you might not want to start up the 14 mile hike to the top of Mnt Timpanogos. The Stewart Fall trail is easy to find as you stay to the left at the trail head markers. It is wide and well-maintained, and most of the trail is walking through the trees resulting in a lot of shade to help you out during the warmer days of summer. It is a very popular hike, so start early. There is a ton of vegetation along both sides of the trail, including a large patch of stinging nettle about two-thirds down the trail. Watch your little ones and always stay on the trail. The only wild life I have seen on the trail is squirrels, chipmunks, and birds. The trail is highly trafficked resulting in the bigger animals staying clear of the area. If planning on taking a shower in the waterfall, don't be surprised at how fast it takes your breath away as the water is freezing cold. 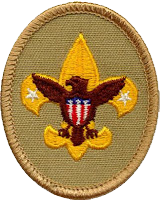 In 2015, when the new Cub Scout requirements were introduced to us, I remember thinking to myself... What on earth are you going to accomplish in doing a 1-foot hike? I have since changed my tune. The great thing about this requirement is the knowledge that is learned about what surrounds you. It requires you to stay in one spot and listen / look for living things that are near to you. It may surprise you the things that you will find in your back yard or in the park. Depending on your location, you may see the neighbors dog or cat, a chipmunk running across the fence, or a ton on ants attacking the root-beer popsicle you dropped on the sidewalk. An extra item that I like to do is take a 4-foot piece of rope and make a square on the the ground with it. Within this 1-square-foot area, count how many different insects you come across. Feel free to leave a comment of the living things you and your Tiger Cubscout encountered during your own 1-foot hike. Dripping Rock Hike is a very easy and enjoyable hike at the mouth of Spanish Fork Canyon in Spanish Fork, UT. Perfect for taking the family or Cub Scouts. If coming from I15, take the Highway 6 exit and drive east towards the windmills. As you get closer to the canyon, you will see on your right hand side a diner called The Little Acorn (stop and get some fries and a shake after the hike). Turn south onto Powerhouse Road as if you were going to Spanish Oaks golf course. In about 800 feet, turn right onto River Bottom Road. The parking lot for the trail-head will be on your left in 200 feet. You will see a sign with some information about the Spanish Fork River Trail. From this point, you will begin your hike by going east on the trail (going west will take you to Spanish Fork City). The first thing you will see is a walking bridge that will allow you to cross the Spanish Fork River and take you towards the golf course. You will see a tunnel on your left which will allow you to walk under Powerhouse Road. At this part of the trail be a little cautious with your little ones as golfers are also using this section of the pavement to travel between holes at Spanish Oaks. As you come to a Y in the trail, go left towards the river. The remainder of the trail will follow the river until it eventually ends at the dam. Along the trail you will hear and see multiple small sections where water is dripping from the hillside into the river. The larger section, which is dripping rock, is about 3/4 of a mile into the trail just before the trail ends. Wear a pair of shorts or your swim suit and enjoy the water as it rains into the Spanish Fork River. At this section, the river at some parts is about knee deep to adults with very slippery rocks. As with all water activities, take all precautions and be prepared for any injuries or emergencies. With photography, there are many different subjects you can take pictures of. Along with the vast amount of subjects, the amount of apertures, shutter speeds, f-stops, and focus manipulations are endless. 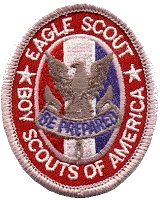 Requirement 5 of the Photography Merit Badge gives you to opportunity to show off your work. Req. 5 - Photograph THREE of the folowing, then share your work with your counselor. The following are a few pictures that I took over the weekend on our last hike. One of my favorite times to shoot pictures is right when the sun starts to fade under the horizon and starts to bend the light into a bright golden hue allowing me to work more with the contrast of the image. 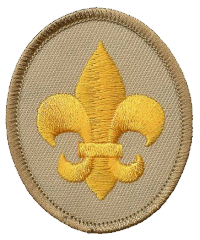 In my younger years, on a Varsity high adventure, I neglected to bring all of the Scout Basic Essentials. As a Team, we decided to canoe down the Henry's Fork of the Snake River starting at the reservoir in Island Park, Idaho. Anyone who has been on this stretch of river knows that it is a very slow section of the Snake River. Sitting in the metal canoe and being in my swimming trunks and a t-shirt with no sunscreen on, I was basically slow roasting my legs. My thighs were completely covered in blisters as a result of having no sunscreen during the 3 hour trip from the reservoir back to our camp site. That night's sleep (if you can call it that) was unbearable. So unbearable, that it resulted in a leader driving me back home in the middle of the night to my parents. I did not do my part to be prepared. 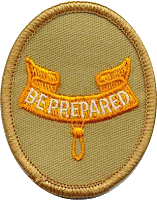 In my opinion, one of the core elements of being a scout is being prepared. 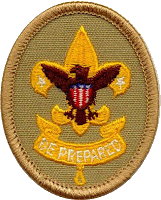 Robert Baden Powell was once asked what scouts should be prepared for. His reply was "any old thing". 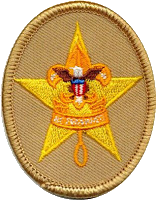 I echo Robert Baden Powell's reply. 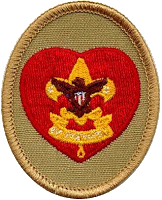 If a scout does not have the basic essentials on their outing, than the result will be the troop having to bring aid to the scout when he is unable to care for himself being cold, thirsty, injured, or sun burnt. Insect repellent, a whistle, and other items also might be considered essentials, depending on your destination, the length of your trip, and the seasons. Located in Pleasant Grove, Utah, this easy and fun hike is perfect to take the family or young scout groups on. The trail head is located next to the Kiwanis park at the end of E 200 S. There is a large dirt parking lot where the road ends. The trail is well groomed and very wide for those larger groups that explore this awesome hike. As you near the waterfall you will start to hear and see it through the trees. At this point of the trail you will also notice that the elevation of the trail will incline quickly. Total elevation change on this hike is roughly 375 feet. But don't worry, the hike is downhill the whole way out and will pass quickly as you walk back to your car. Watch the little ones around the top of the waterfall if you choose to make the climb up to the top as it is a tall drop off. Continuing on this trail will eventually lead to multiple other hikes that lead you through the Mt. Timpanogos area. With waterfalls, swimming holes, and ancient pictographs, it’s no surprise that the Red Reef Trail is one of the most popular hikes in the St. George area. At just 1.5 miles round trip, this trail is excellent for everyone in the family, including children and beginners. The Red Reef Trail begins near Campsite 2 in the Red Cliffs Campground, just before the road crosses Quail Creek in the Red Cliffs Recreation Area. Red Cliffs is located about 15 miles northeast of St. George. Take Exit 22 off of I-15. Turn south onto Old Highway 91 and continue south for about 2 miles. Turn right at the signed junction for Red Cliffs Recreation Area. Continue under the freeway then turn left and follow the road into the Red Cliffs Campground. Take Exit 23 from I-15. Turn left off the exit, then right onto Main Street/Old Highway 91. Continue south for 3.5 miles to the signed junction on the right. Parking at the trailhead requires a $5 day use fee per vehicle. Parking spaces are very limited, making access difficult on busy weekends. The BLM may even turn cars away during peak usage due to lack of parking. NOTE: The freeway underpass used to access Red Cliffs will not accommodate vehicles taller than 11’9”. The Red Reef Trail begins by traversing a sagebrush-covered bench above Quail Creek before dropping down to the watercourse. The trail follows the creek for a short distance before a well-worn path appears on the left. This leads to the upper falls and moki steps, but it is worth following the stream another 150 yards to the base of the lower pools and waterfall (37.228237,-113.410511). Beyond the lower falls, keep an eye out for a large alcove on the right (37.229305,-113.410987). Most hikers pass by this, but it makes a great side trip if you have the time. This alcove, likely once used by ancient Native Americans, contains at least two pictographs. Appreciate the rock art without touching it so that it can be preserved for future generations. Do not add to graffiti on the walls. The canyon narrows just beyond the alcove. Those trying to keep their feet dry might have a tough time as the trail approaches a few more pools and small waterfalls. Just to the right of the upper falls there are deep steps cut into the rock face that are commonly known as moki steps. You can use the moki steps to access the more difficult sections of the canyon above, but for most, this is the turnaround point of the family friendly section of the Red Reef Trail. Relax at the pools and enjoy the scenery before returning the way you came. Round trip mileage is approximately 1.5 miles. A day use fee of $5 per vehicle is required. Pay fees at the self-pay station near the entrance to the campground. You may use Federal Inter-agency Annual, Access, and Senior Passes for day use fees. Stop by the self-pay station for more information. All pets must be on leash no longer than 6 feet. Quail Creek has high potential for flash flooding. Do not enter the canyon if it is raining, if the creek is flowing swiftly, or if there is a high chance of precipitation. If you notice a sudden change in water clarity or flow, seek higher ground. The depth of the pools can vary, especially after flood events. Never jump into a pool without first verifying depth. This trail guide by Backcountry Post. This in n' out 5 mile hike is one that you will remember forever. Wonderful hike for the whole family to take. The entire trail is sand which will slow your pace down, but children 5+ should not have too many issues. Remember, your legs are just a bit longer than the kids so don't rush too fast. Along the trail there are 14 markers / information stops (Points of interest include; Fremont Indian granaries, petroglyphs, and wildlife). These work great to gauge your distance as number 14 is the end of the trail where it meets the Lower Falls. 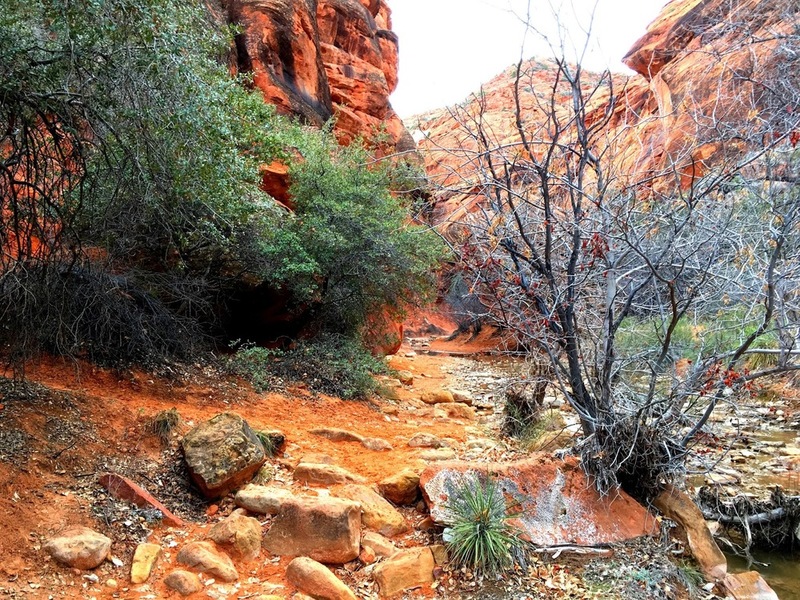 The hike, for the most part, follows Calf Creek through a beautiful red rock canyon. At the end of the trail is the 126 foot Lower Calf Creek waterfall. The pool is roughly 10-15 feet at it's deepest point and the water feels like one degree above freezing when you first jump in. Pack a lunch and relax on the beach in the middle of a canyon in Escalante, UT. Parking: Just off of highway 12 near Escalante, UT. The trailhead is located within Calf Creek Campground. Day use parking is $5.00 and overnight camping is $15.00/day. The trail is very popular and parking can become an issue during holidays. Best to start this hike early morning so you beat the heat and the rush of other hikers. Great hike to take the family on. My 4 year old was able to walk 95% of the trail. There are a couple of spots where the trail is going up and downhill, but for most of the hike, the trail is very easy as it goes along the creek. At about the 1 mile mark there is a small waterfall that the kids enjoyed. Great stopping point for a photo, lunch, or nap in the shade. Along the trail you will have the privilege of walking through three different sections of slot canyons. Take extra precautions during flash flood season, especially through the narrows. There are no restrooms and no source of clean water. Remember to always "Be Prepared". From Salt Lake City, travel south on I15 to U-20. Exit on U-20. Turn south on U-89 and follow U-89 to Glendale. From Las Vegas: Travel I15 to exit 16. Follow U-9 to the south entrance of Zion and through to the east entrance. Take U-9 for 12 miles to Mt. Carmel Jct, where U-89 and U-9 meet. Drive north on U-89 to Glendale.